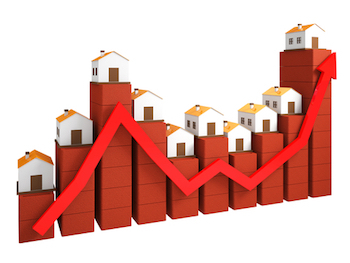 Real estate markets cycle up and down. This of course impacts the creation of private mortgage notes as reflected in the recent statistics. To succeed we must embrace the change and find the opportunity. This has been Dave Franecki’s philosophy in business, ultimately leading him to note investing. During his 30+ years in real estate he experienced almost every facet of the industry including real estate sales, landlord, rehabber, fix and flips, loan officer, credit repair, building/land development and now investing in seller financed real estate notes. Rather than run from new owner financing regulation he embraced it by becoming the “go-to” local expert as an Arizona Department of Real Estate certified Continuing Education Instructor (Legal) for Seller Financing. This led to national attention and a feature on Bloomberg Radio. There is something to be learned from his approach! You can get all the details in our Note Investor spotlight video interview or skip to the highlights outlined below. What is the current focus of Capstone Capital USA? You’ve been in real estate for over three decades. How did that lead to you to the note business? In my past life I helped banks work through their REO portfolios in greater Phoenix as a high producing REO agent. At the local REIA meeting in January 2013, I listened to a presentation by Eddie Speed the founder Note School. What he said made sense. I jumped in and worked out several non-performing notes and eventually focused on performing notes because the returns were quantifiable. No surprises. And… I am able to utilize my 30+ years real estate experience. You have designed a unique approach to helping people understand seller financing and the Dodd Frank Act. Can you tell us about that? We believe in educating the consumer on the process. Consultative selling is the way we look at the process. A note seller that understands the way evaluate a note will help them to ultimately make the best decision based on their needs. It allows us to give them customized options. More specifically I have teamed up with Pat Billhiemer of CTP Funding. She is a loan originator in the seller-financed area and can qualify prospective buyers in all 50 states to be Dodd-Frank complaint. As a team we were approved by the Arizona Department of Real Estate to teach continuing education classes to realtors. It is important for the seller to create a strong package, as that will get them the highest $ and minimize their discount on the potential note resale. Our goal was/is to educate real estate professionals as to the various nuances of the Dodd-Frank Act. Not to run from it out of ignorance, but rather to embrace it and if nothing else, it could become one of your best tools. Additionally Pat and I sponsor a local meetup group in Phoenix—Note Investors Forum. Again it is about education and more specifically, to foster JV partnerships for investors to grow their IRA. I am passionate about the value of exploding one’s ROTH. Tax-free is a wonderful thing. Therefore, yes I work in the note space, but I know, my broad base of 30+ years in the Real estate business offers a lot of value to the prospective note seller. In those 30 years I have learned to communicate to the buyer, the seller, the investor, and all parties involved in the sale, what can and should be done. I’ve found it crucial to set their expectations, the anticipated outcome of the transaction and manage them professionally. What type of notes or transactions will your company consider purchasing? Capstone Capital will consider funding any type of note as long as it makes sense. We are open geographically, short of the house being in a war zone. We will consider single family, commercial, manufactured housing on it’s own lot and land. When a potential funding package is presented, the first thing we look at is the payer’s credit score/ credit history. We understand that most buyers in the seller-financed space may have some credit issues. That is a given. Beyond that we focus on where are they now. Are they staying on top of their current debts? Is there anything lingering in the background that may come back to haunt them? Ideally their credit score should be above 620. Many payers have credit below that. But again what are the mitigating circumstances. If their score is in the low 500’s, well………..probably not a good candidate. Loan to value is important. We shy away from assets where the LTV is greater than 70%. We’d prefer 65% or less with an Investment to value ratio not exceeding 70%. That is why we really like partials. The risk is minimal. We will not consider a property that is under water. I refer back to the 2008 crash. Many lenders were hurt due to the drop in property values and the homes being under water. The homeowners just walked. With the payers interview, we are also looking for just how vested is the payer in the property. Is there a lot of emotional equity… meaning is the family vested in the community with their kids in the schools, churches, friends, and kids sports events. We want them to stay with the property. To eventually own their home free and clear. We DO NOT want the property back. The interview can be an important piece of the qualifying process. Many note sellers ask if we can fund their transaction a few days after closing. I tell them we’d prefer to wait will consider finding that transaction after 3 months if the other numbers line up. Specifically how much money the buyer has put down and what is their credit score. Lastly, if the loan was originated after January 10, 2014, it is best the buyer was underwritten by a loan originator so the file is Dodd-Frank Compliant. What type of deals would just waste your time? Many note owners think they are owed $X and they want to recoup or sell the note at face value $ for $. The reality is that just will not happen. In the initial note seller interview/ consultation, I tell them they accepted a promise to pay from the house buyer and now they want us to accept that promise on face value. For us, it all depends on how safe the loan package is. What are the potential risks? Nothing in this world is perfect and I’ve never seen a loan package that is perfect. We have to complete our due diligence process. Therefore, we buy notes at a discount. If they do not accept this, then the conversation is over. Also, if the house in underwater, or totally trashed everybody is wasting their time. What do you consider the best methods for finding real estate note deals? Referrals and networking is the best way. I do a lot of direct mail to note sellers. This is a long road, as you first have to build rapport and confidence with the seller. Once that is achieved, the transaction can move along smoothly. How do you handle referral fees to note finders or consultants? Learn, learn, and learn. Be a sponge for information. Do not expect over night success. Plug into a mentoring system. It is the most thorough and direct way to success. For me I am a student of Eddie Speed and Note School. I feel they are top shelf. Also go to the various conferences—Paper Source for one. Fred & Tracy Z. Rewey at Diversified Investment Services have some great training platforms. Trying to do this business with no capital. Thinking they can do it all with no training. Or thinking success comes in a box. Buy the training and expect it to do it all for you. Bottom line their biggest mistake is not realizing they are/they can be their biggest obstacle to success. I can be reached @ 888 861 4292 or 480 763 8376. This is a fun business. It is a business one can do until you pass at your own pace. Thanks Robert – glad you enjoyed the info! I’m new to the Note Investing and I’ve been watching a lot of videos about even some of Eddie Speed education videos . Some tell it easy to do this business and others make it sound complex ? . I want to learn this business , but I have a small budget to work with . How Do I Find Notes On a Budget?